One of the campaigns we’ve been inspired by lately is the national Poor People’s Campaign. To learn more, we sat down and had a conversation with one of the chairs of the Poor People’s Campaign in Philadelphia, Nijmie Dzurinko, who also is a RoadMap network member and a member of RoadMap’s Operations Team! Leaders in Philadelphia’s Poor People’s Campaign including Nijmie Dzurinko, second from the left. 1. What is the Poor Peoples’ Campaign, and what does it look like locally in Pennsylvania? 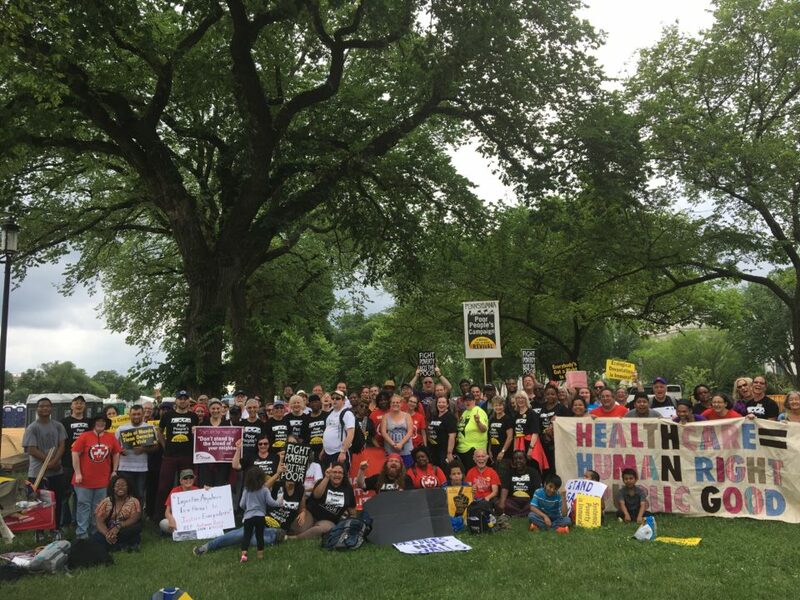 The Poor People’s Campaign: A National Call for Moral Revival is picking up the unfinished work of MLK, the National Welfare Rights Union and others from the original Poor People’s Campaign of 1968. This is not a commemoration but a continuation of that work. 2. How did you get involved in the Poor Peoples’ Campaign? I have been involved with the Kairos Center at Union Theological Seminary (formerly the Poverty Initiative) for the last 13 years. The Kairos Center is one of the two national co-convening organizations for the campaign. I was a part of the Poverty Scholars Program, a program which trained leaders in poor people’s organizations across the country. We engaged in joint learning, relationship building, and immersion trips to understand each other’s issues and terrains of struggle. 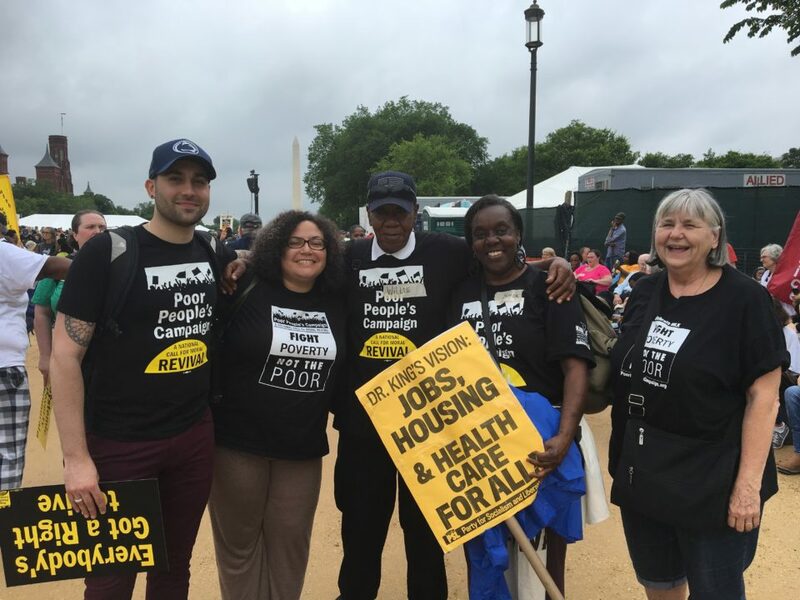 We put out the call for a new poor people’s campaign several years ago in anticipation of the 50th anniversary of the original campaign and began laying the groundwork in a number of states. Prior to the launch of the campaign, I served on a National Standing Commission that helped lay the groundwork for the launch. Currently, I am one of the Chairs of the Campaign in Pennsylvania. 3. There’s been a series of actions earlier this year that connected various movements and highlighted a range of issues that the campaign led. How has it been going so far? It’s been going great. Historians have told us that this is the largest series of coordinated nonviolent civil disobedience actions in U.S. history. We have been engaged in a “season of moral resistance” in over 30 state capitols around the country. Every week for six weeks starting the day after Mother’s Day on May 14th, and going through the day after Father’s Day on June 18th, we conducted rallies and civil disobedience actions related to the four evils we are addressing in the campaign: systemic racism, poverty, the war economy and environmental devastation. Around the country, over 3000 people were arrested for nonviolent civil disobedience. In Pennsylvania, 76 people were arrested. 4. What’s the most important thing for folks to know and be aware of in the campaign? There are several things that are important to know. This campaign is a grassroots, bottom-up movement that seeks to disrupt the left/right binary and help people engage in understanding that this is a fight to unite the bottom to save ourselves from the people at the top. This movement is serious about building infrastructure at the state level because we believe there can be no power at the national level unless there is power at the state level. There are volunteer coordinating committees in 40 states that facilitate the involvement of thousands of people in the campaign. This movement believes that we’ve got to address race and class together, along with the militarism and environmental destruction. And this is a movement where poor and dispossessed people are centered. We are nonpartisan and politicians do not speak at any of our events. Also, when we speak the language of morality we are drawing on all of our deepest religious and spiritual traditions. We recognize that morality has been used as a cudgel and tool of white supremacist patriarchy. We are actively shifting the distorted moral narrative of the powers that be and calling out the immoral nature of systems that thrive on exploitation and oppression. 5. Given the work that RoadMap and our network of social justice and movement-grounded consultants does – what would be a way that people can plug in and support? 6. What have you been learning in your work with the Poor People’s Campaign? I have been honing my skills in action design and logic as well as training in nonviolent civil disobedience for diverse groups in ways that help ensure that we can engage as safely as possible in confronting state power. 7. How can someone best get involved with the Poor People’s Campaign? 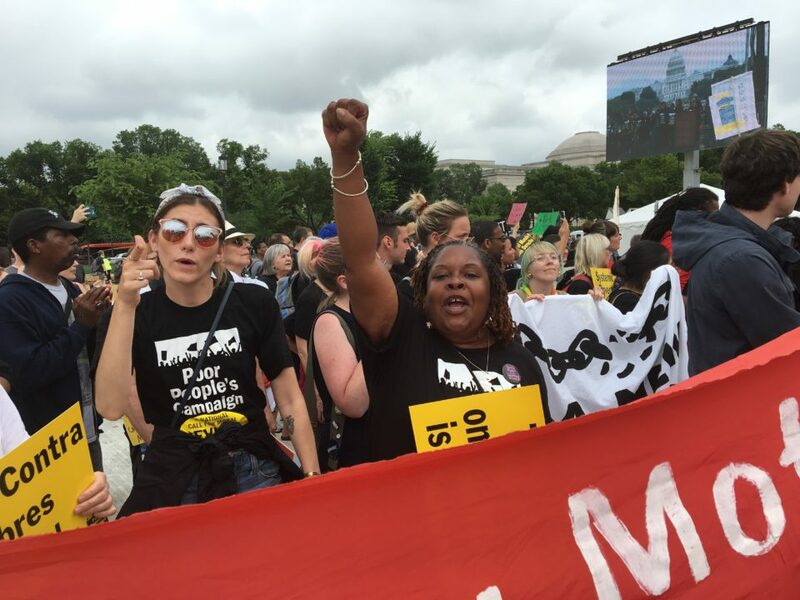 Signing up at www.poorpeoplescampaign.org is a good way to stay in the loop with activities happening in your state. 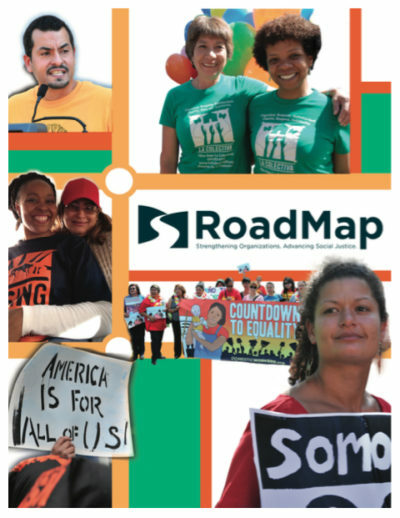 I really appreciate the way that the RoadMap network is taking seriously our political stance and racial justice stance and I think there is strong alignment between where we are going as a network and the social movement politics of the Poor People’s Campaign: A National Call for Moral Revival.